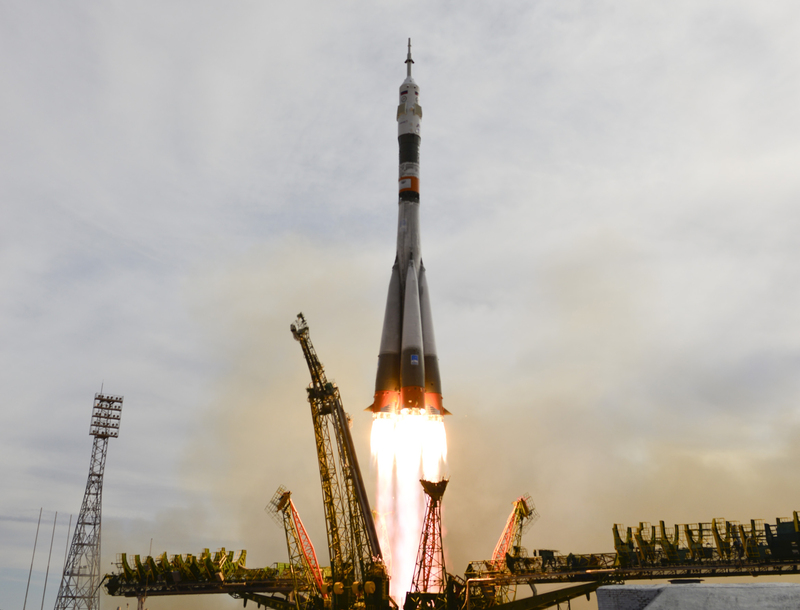 The Soyuz TMA-18M launched from the Baikonur Cosmodrome in Kazakhstan to the International Space Station at 12:37 a.m. EDT Wednesday (10:37 a.m. in Baikonur). At launch, the station was flying 250 miles above south-central Kazakhstan, having passed over the Baikonur Cosmodrome less than a minute before liftoff. 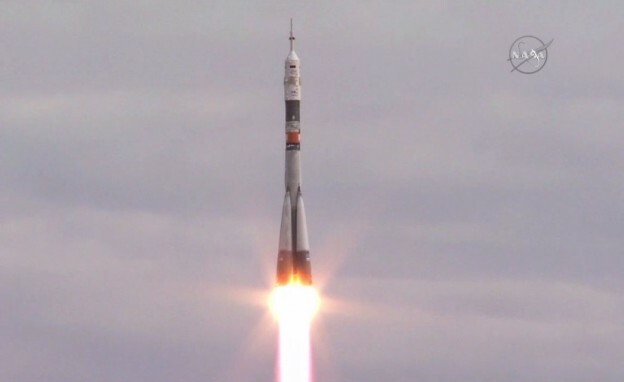 Sergey Volkov of Roscosmos, Andreas Mogensen of ESA (European Space Agency) and Aidyn Aimbetov of the Kazakh Space Agency are now are safely in orbit. NASA TV coverage continues at https://www.nasa.gov/nasatv. They are on a two-day course to dock to the station at 3:42 a.m. on Friday, Sept. 4. NASA TV coverage of docking will begin at 3 a.m.
With the arrival of Volkov, Mogensen and Aimbetov, nine people will be aboard the orbiting laboratory for the first time since 2013. The three will join Expedition 44 Flight Engineers Scott Kelly and Kjell Lindgren of NASA, Commander Gennady Padalka and Flight Engineers Oleg Kononenko and Mikhail Kornienko of Roscosmos, and Kimiya Yui of the Japan Aerospace Exploration Agency (JAXA). At 2:40 p.m. Saturday, Sept. 5, NASA TV will provide a live broadcast as Padalka hands over command of the space station to Kelly. Expedition 45 begins on Sept. 11 when Padalka, Mogensen and Aimbetov undock from the orbiting outpost in the Soyuz spacecraft designated TMA-16M and return to Earth. The Soyuz TMA-16M carried Padalka, Kelly, and Kornienko to space in March. Because each Soyuz remains in orbit for about six months, the spacecraft swap is necessary during the one-year mission. Below is the timeline for the remainder of the crew’s trip to the orbiting laboratory.